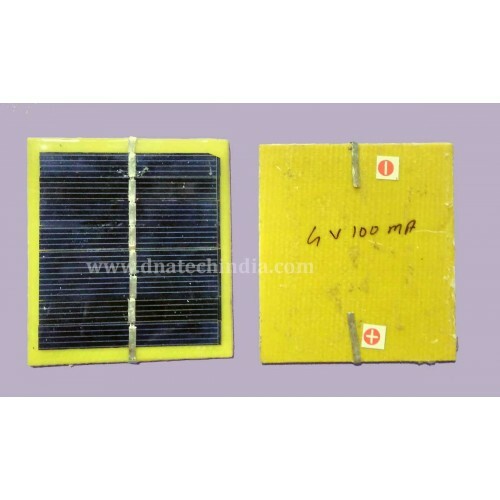 Buy online 4 Volt 100mA Solar Panel in India at low cost from DNA Technology, Nashik. This is a high efficient solar panel. It can output 100 mA of current at 4 Volts under ideal light conditions. It is 6.5cm x 6cm in size . Can be used in low cost solar projects. 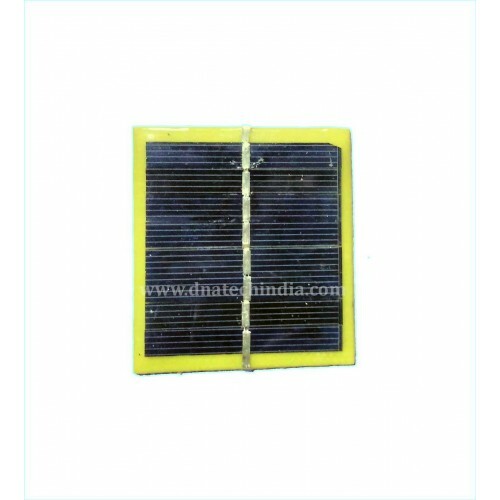 You can connect 3 such solar panel in series and get 12 Volt output or you can connect them in parallel and get more current. Perfect for making solar robots and for use as a general purpose solar applications. 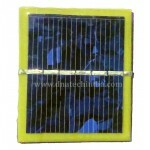 Solar Panel 3 Volt 100mAThis is a high efficient solar panel. It can output 100 mA&nb.. 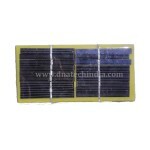 Solar Panel 9 Volt 100 maThis is a high efficient solar panel. It can output 100 mA&n.. 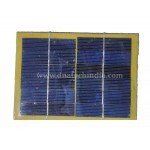 Solar Panel 9 Volt 300 maThis is a high efficient solar panel. It can output 300 mA&n..